More Awesome Now is a pilot program that takes existing, under-utilised laneways in Vancouver and reshapes them into engaging public spaces accessible by everyone and contribute to the livelihood of the city. The program may have started in Vancouver but it has the potential to be rolled out internationally. Where people will actively seek out these bespoke spaces to socialize and play. 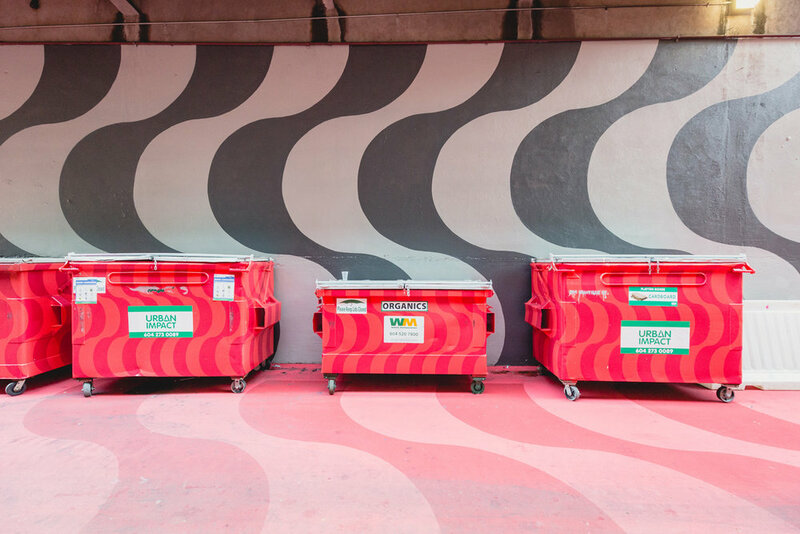 HCMA Architecture + Design partnered with the City of Vancouver and the Downtown Vancouver Business Improvement Association (DVBIA) to transform alleyways from utilitarian service corridors into bright, playful public spaces. This initial partnership developed into the program we now know as know as More Awesome Now. Each laneway transformation has a unique identity and theme in contrast with its surrounding area. An adaptable identity was created which enables each laneways theme to be present within the logo. A simple window/frame was created to allow for this. Design by Bonnie Retief and Femi Coppi. Creative Direction Bonnie Retief. Working alongside Project Architects Alexandra Kenyon and Steve DiPasquale.